There's no denying that nothing can beat a good rolling session. Unfortunately, that requires both a training partner, and the ability to make it to the gym. That being said, there's a silver lining in the form of grappling dummies. Admittedly, it's no where near as fulfilling or beneficial as sparring with an actual partner, but at least it's something! 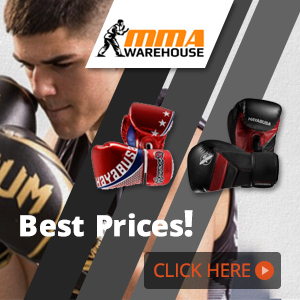 With that in mind i'd like to welcome you to our Ring To Cage Grappling Dummy Review. 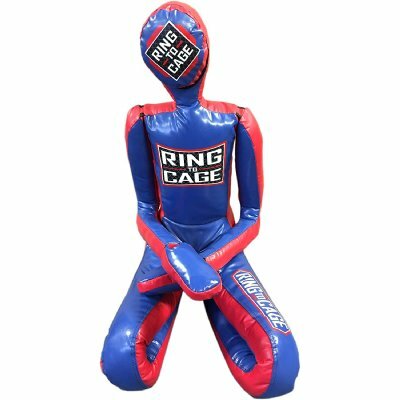 For those of you who aren't aware, Ring To Cage are well known for producing all kinds of awesome grappling and martial arts gear, so it's only fitting that they release one of the best grappling dummies on the market. Hopefully by the end of our review, you'll know exactly what the Celebrita Grapplling Dummy is all about, and perhaps some drills you can perform with your new rolling partner. Summary: The Ring To Cage grappling dummy is a sitting dummy designed to allow users to drill and practice ground work techniques. Available in youth, adult, filled and unfilled options, you'll struggle to find a dummy as versatile as this. 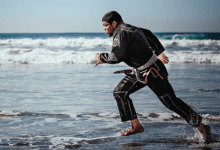 A grappling dummy is designed to allow you to run drills and train without the need of an actual partner. 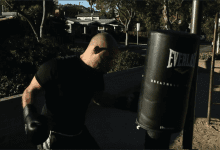 Although not as effective as rolling and drilling with a real person, many martial artist will admit that drilling with a dummy is a great way to instil muscle memory when you're unable to make it down to the gym. Grappling dummies come in all shapes and sizes, both filled and unfilled and are designed to allow you to train both standing up and on the ground. 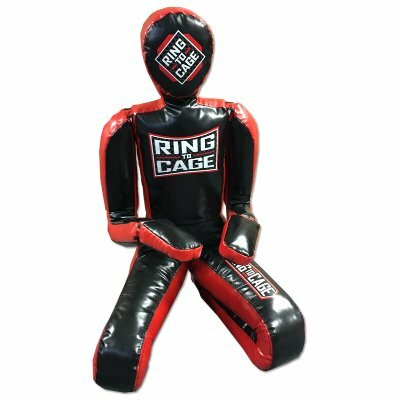 Ring To Cage Grappling Dummy - Who Is It Meant For? Whilst not every martial arts practitioner has a dummy, or even needs one, they're extremely handy for those of you who can't make it to the gym on a regular basis. I know a lot of guys who sometimes don't finish work til 9pm and miss the last class of the day. Instead of not doing anything at all, they whip out their grappling dummy and run some drills for half an hour or so in the garage. Admittedly, it does feel kind of strange at first, rolling around with this lifeless dummy, but you do get used to if after a while. 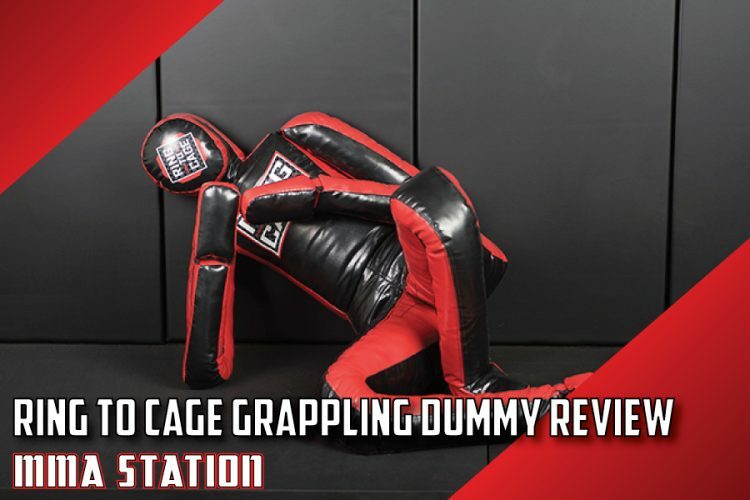 Ok, I think it's about time that we get to the Ring To Cage grappling dummy review itself! Due to the fact that the Ring To Cage grappling dummy is manufactured using the best quality, 22oz polyester coated vinyl alongside reinforced stitching, the dummy is by far one of the most durable I've ever used. This means that the dummy has an extremely long lifetime. I’ve used a few grappling dummies that have worn down extremely quickly and have even had some where the stitching has come loose in the first session. Thankfully this isn’t the case with the Ring To Cage Grappling Dummy and is probably the reason that it won Jiu-Jitsu Magazines top grappling dummy award. The grappling dummy also features an endurable shoulder system that, unlike most other dummies, allows you to seamlessly train your triangle choke and arm bars. This is also down to the fact that the shoulder and neck are in perfect proportion to the rest of the dummy, which can actually be pretty rare amongst grappling dummies. 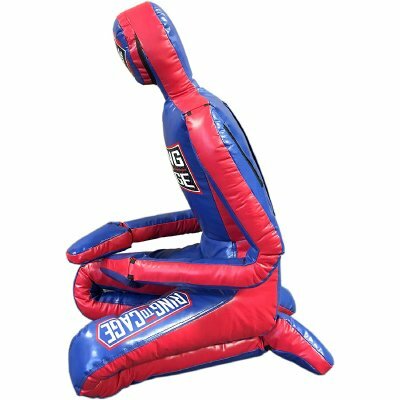 The Ring To Cage grappling dummy is great for a variety of different martial arts such as BJJ, Judo, Wrestling and MMA. The dummy itself can either be placed in either a seated position, or stretched out so that it is lying flat. 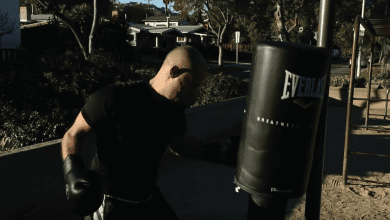 This makes the dummy perfect for training both your guard and inside guard, as well as a variety of control positions such as full mount, side control and North South. 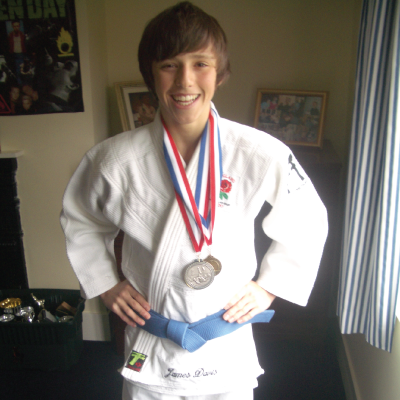 You can also straighten the dummy out so that you can train a number of different throws and takedowns. This is especially great for wrestlers and Judokas, as the weight and feel of the dummy is incredibly life like, giving you a fairly realistic throwing experience. Again, this isn’t going to nearly as effective as training with a real life partner, but for now, it’s the best we’ve got. When looking to purchase a grappling dummy, it's important to take into consideration the flexibility of the dummies limbs and joints. Despite sporting a fairly rigid build, the Ring To Cage grappling dummy has a pretty realistic level of flexibility in its joints that provides just enough resistant to seem some what life like. If a dummy has joints that are too loose, performing locks and submissions is going to feel insanely unrealistic, Fortunately, the Ring To Cage provides just enough resistance that it feels like your drilling with an actual partner. This level of flexibility allows for you to train an array of submission drills and allows you to maintain muscle memory. 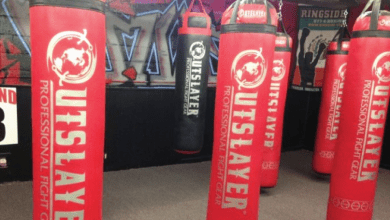 In total, there are 4 different versions of the Ring To Cage Grappling Dummy, in the form of youth and adult sizes available in both filled and un-filled options. 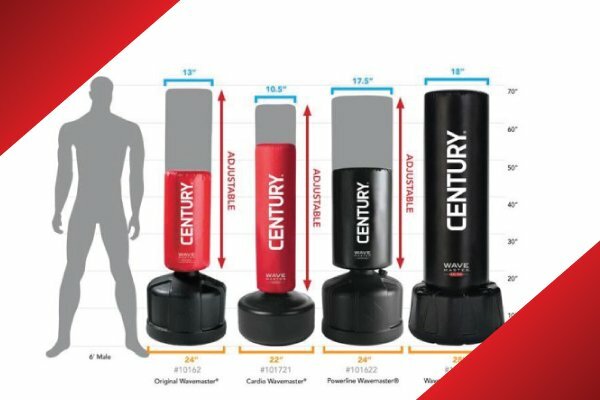 Adult (black and red) Dummy is roughly the height equivalent of a 6 feet man and weighs around 65-70 pounds. If you go for the unfilled option, the weight of the dummy will be determines by the materials you use to fill it. The Youth/Kids (blue and red) Dummy is roughly the height of a 4.6" foot person and weighs around 30-35 pounds. Again, the weight of the unfilled option will depend on what you use to fill the dummy. 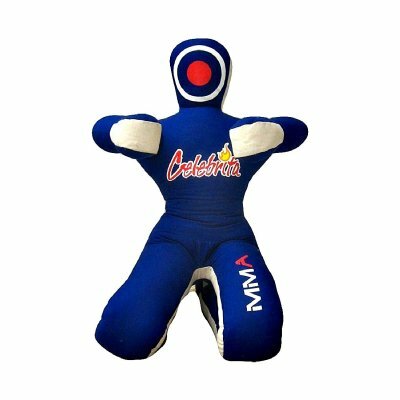 The Celebrita Sitting Grappling Dummy is another fantastic option if the Ring To Cage model doesn't take your fancy. Designed specifically to run ground work drills, this dummy is available in both filled and unfilled options (with the unfilled being significantly cheaper). The Celebrita Dummy comes in a number of different sizes. This is brilliant for those of you who have awkward body sizes and may find it hard to get a realistic sized dummy to match your opponents. 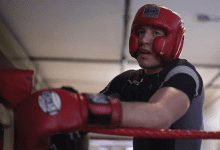 So, we've made it to the end of our Ring To Cage Dummy review. There aren't many grappling dummies out there even anywhere near the Ring To Cage Dummy in terms of quality. Not only is the dummy made to endure a serious amount of punishment, the joint flexibility and limb stiffness is by far one of the most realistic on the market. 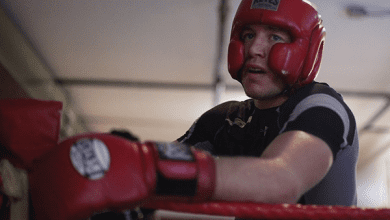 Whether you're looking to cram a few more drills into your day, or unable to make it down to your local gym, the Ring To Cage Grappling Dummy is a fantastic option and well worth the investment. 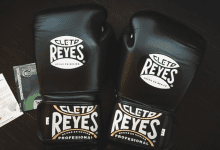 Also, be sure to check out our other reviews of the latest and greatest MMA gear. All product images courtesy of Amazon.com. Featured image by Jiu-Jitsu Magazine, adapted by MMA Station. 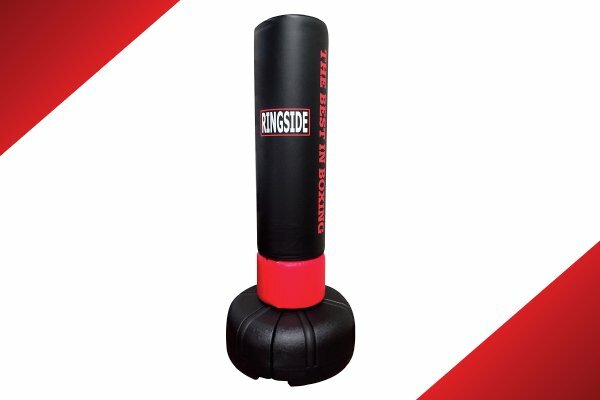 The Ring To Cage Grappling Dummy is perfect for all skill level martial artist looking to train without needing a partner. Whether you're a BJJ practitioner or a Judoka, the Ring To Cage dummies versatility makes it perfect for all.